Situated within 600 metres of Mercado Central, Valencia in the Ciutat Vella of Valencia, SingularStays Plaza Merce offers accommodation with seating area. Complimentary WiFi is available. The air-conditioned units have a fully equipped kitchenette with dining area, a toaster, coffee machine, and a fridge. 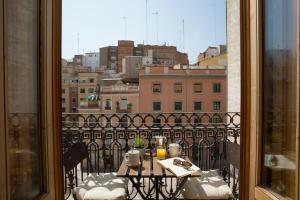 Barrio del Carmen is less than 1 km from the apartment. The nearest airport is Valencia Airport, 11 km from SingularStays Plaza Merce.